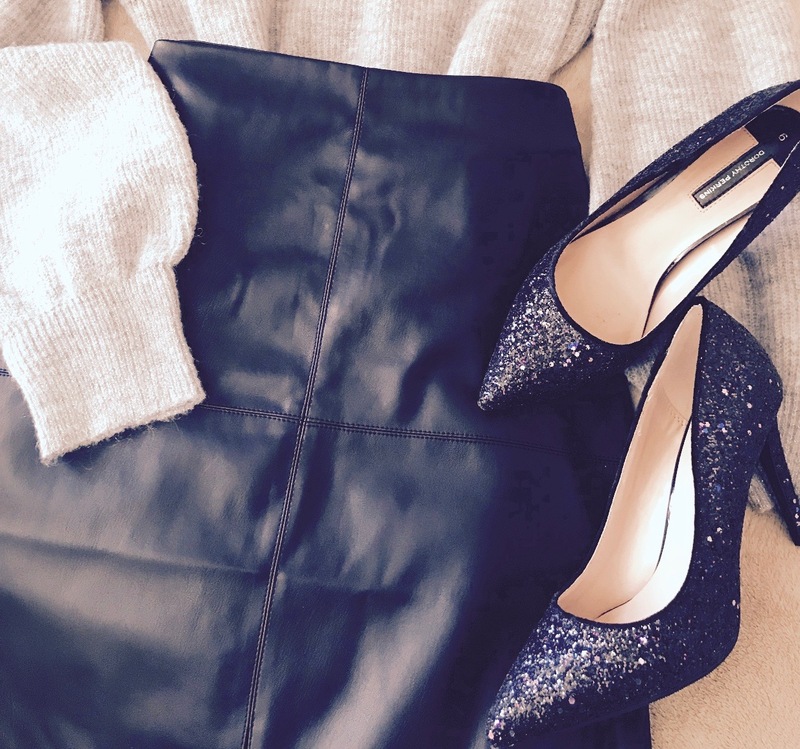 I recently picked up a really nice leather look midi pencil skirt from Dorothy Perkins at a very reasonable price of £24.00. I had been looking for one for ages but hadn’t managed to find one that had the right fit or length that looked right on me – the perils of being 5ft 1 … aka… short! But this one has a really flattering fit and style and is very comfortable to wear giving you a really nice shape. The skirt has a high waisted style with stitched panelling and a central split at the front which just gives it a bit more fluidity and helps to give it a little bit more interest in the detail and It sits just past the knee so it’s a great length too. It’s a brilliant mix and match piece that gives an instant update to your wardrobe and adds a little bit of edge to your outfit, I really like how versatile the skirt is and that I can easily be dressed up or down, so you can create some great day or night time looks with it and play around with different textures and styles to mix it up a bit. 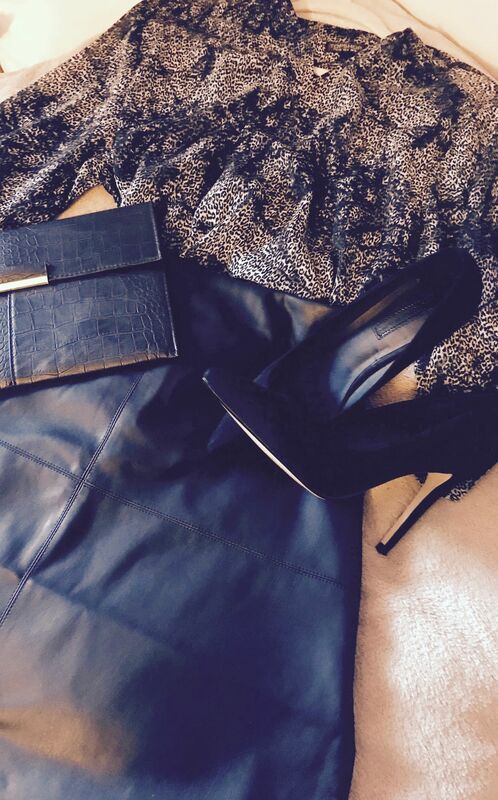 The classic shape and style of the skirt means It isn’t going to date and makes it a great wardrobe staple. 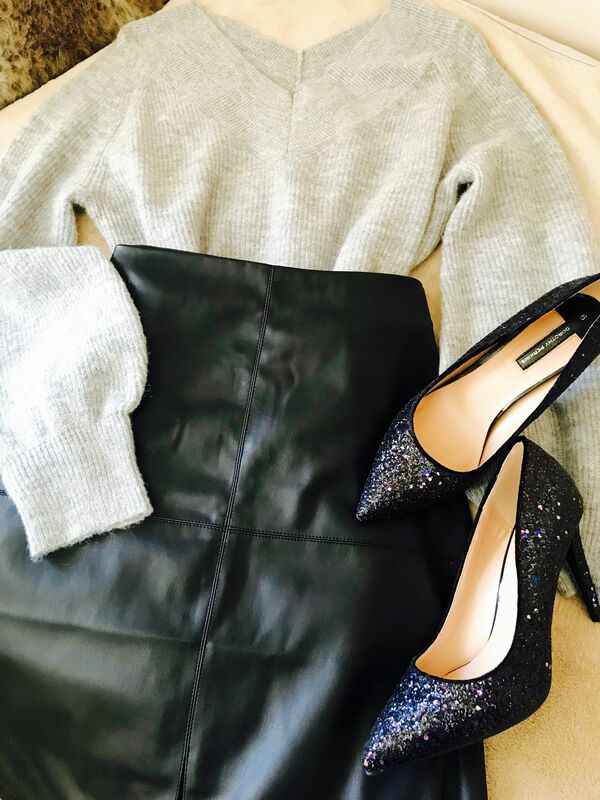 Wear it with a soft knit for an Autumn/ Winter daytime look and pep up your daytime casual style with a mix of textures, this Marks and Spencer soft fluffy Grey jumper with a subtle ribbed sparkle detail and a flattering V neckline is a nice option to pair with the skirt. This look is equally a nice alternative for a day to night look for dinner and drinks etc. 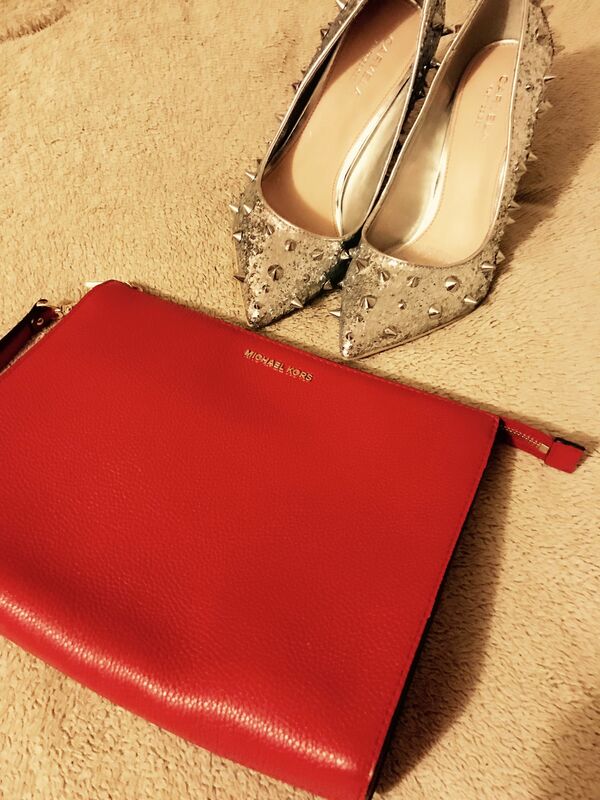 – add a killer pair of heels like these sparkly courts from Dorothy Perkins, a pop of colour on the lips and a great clutch bag and your good to go! 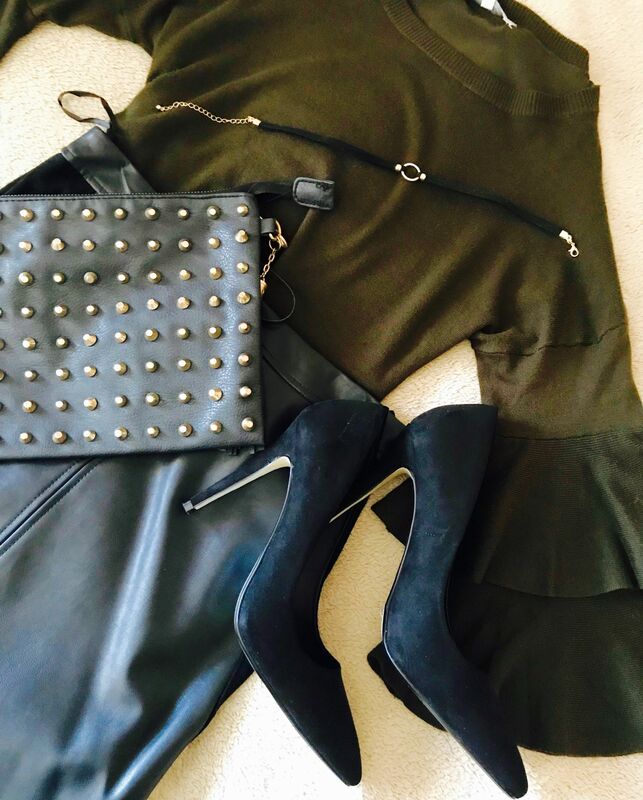 Mix leather with Khaki – Wear the skirt with a Khaki shirt or blouse or pair it with a sheer Khaki ribbed jumper like the one below from Next to introduce texture. A Khaki bell sleeve knit like this one from Peacocks is also a really nice option for a more feminine feel and very on trend. Alternatively wear it with a simple cami top and a Khaki duster jacket for a nice day to night alternative. 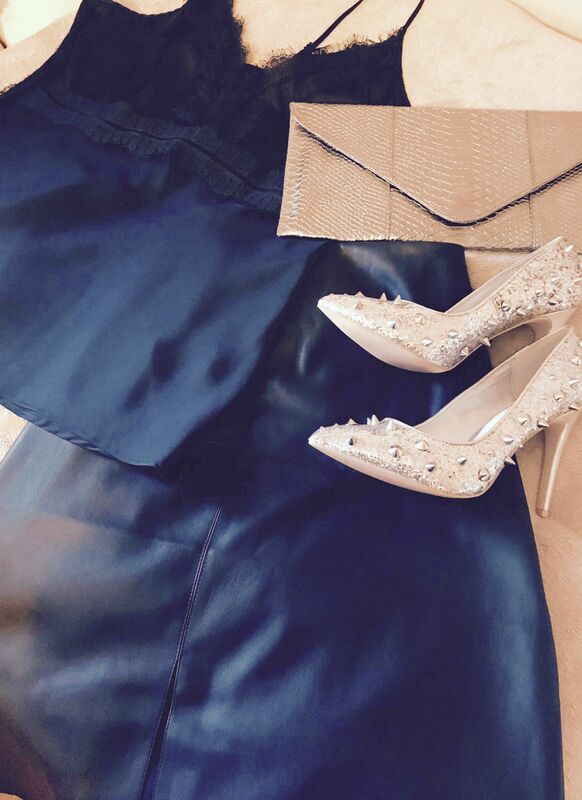 Add some Gold coloured jewellery or accessories and some black court shoes or ankle boots to finish the look. Pair it with print – Floral, leopard print, stripes – the possibilities are endless and pairing it with a printed blouse or top is a great way to soften the look especially with sheer materials like cotton, silk or chiffon. 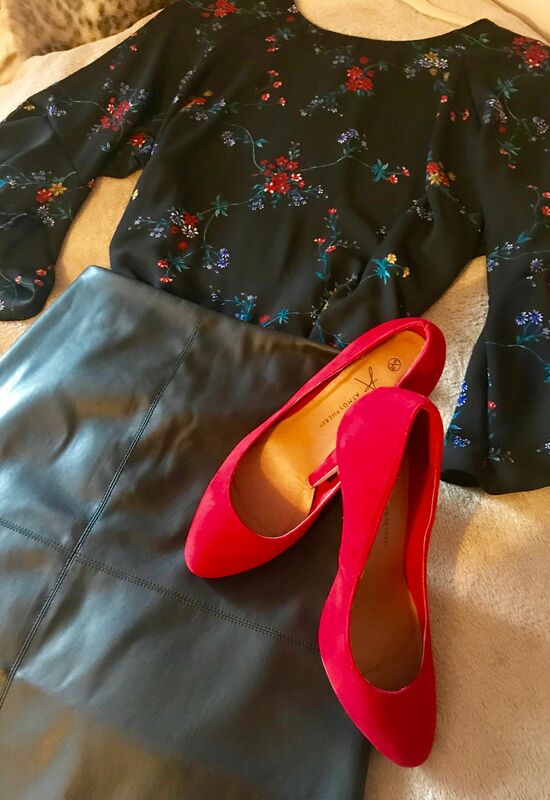 Add a nice pair of court shoes and some simple accessories and you have a great easy on trend look in seconds, this can also work well to pep up your work wear look as well and adds a fashionable update to your office wardrobe. 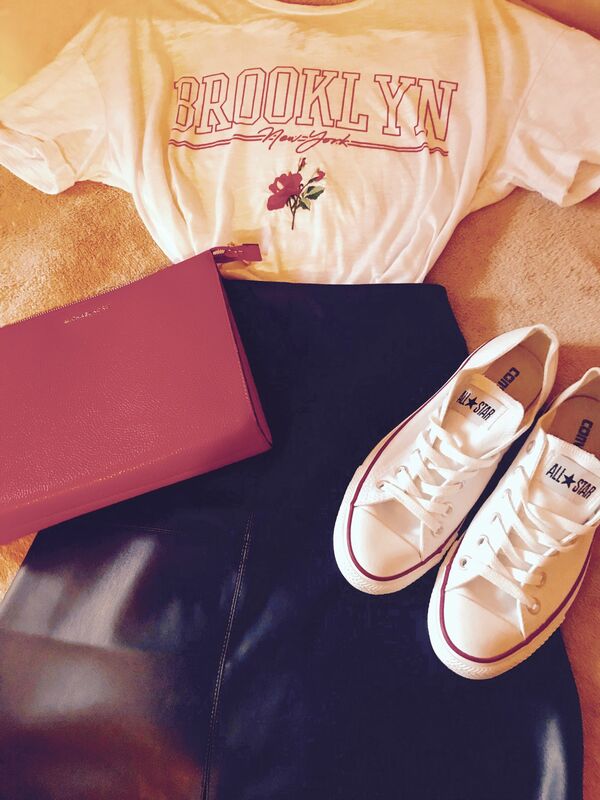 Keep it Casual with a slogan t shirt – slogan T shirts like this one from Newlook are very on trend and all over the high street, so this is a great way to wear them with a bit of twist and gives a different take on a daytime look. Keep it really casual with a pair of converse and a simple day time bag and minimal accessories, maybe just a nice watch on its own or a simple choker for a little bit of detail. Dress it up for a night out with a killer pair of glitzy heels like these awesome studded court shoes by Carvela and a lace detail cami top or a nice sheer blouse accessorised with a choker or a nice necklace and some vampy red lippy. I love this skirt. I’m heading to Dorothy Perkins right now.